By David Ponce on 10/31/17 • Leave a comment! If you’ve ever tried to lay your head on a pillow while wearing glasses, you know how much of a pain it can be. And if you don’t wear glasses, then I’m happy for you, it must be nice to have functioning eyes. For everyone else there’s LaySee, a pillow with contoured edges that allow you to lay your pretty head to rest while wearing glasses. I’m not saying it’s a good idea to sleep with glasses on (unless you’re trying to read your mind), but if you just want to rest your head and watch some Stranger Things then maybe you could use a LaySee Pillow. It costs $79, but it’s made of premium materials. Now I just wonder if it work with people who wear contacts. 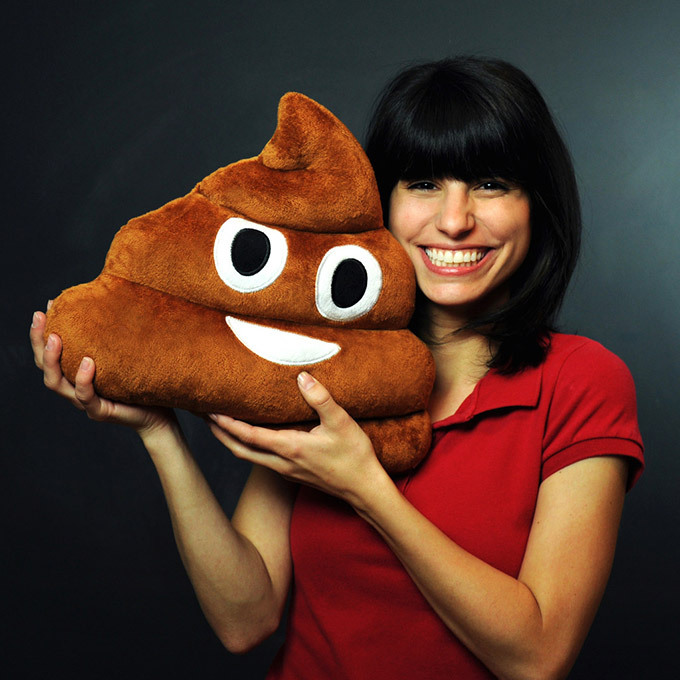 So this is the Poop Emoji pillow, and it’s the crappiest pillow that you can get. Not crappy, as in, sucky, but crappy because, well, that’s what the design is all about. You use emojis all the time these days, whether it’s in emails, text messages, or instant messages, and now that they’ve crossed over into the real world via Throwboy, then why not use it as well? 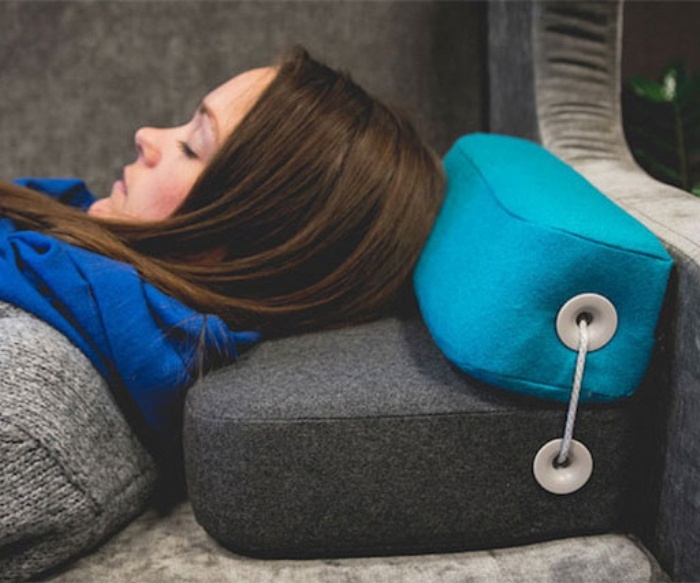 It’s as cushy and comfortable as you’d expect a pillow to be. The Poop Emoji pillow retails for $19.99. Apparently, poop is popular these days, because it’s currently completely sold out. Larger than life and irresistibly adorable, these Sushi Cushion pillows make the perfect addition to your home. 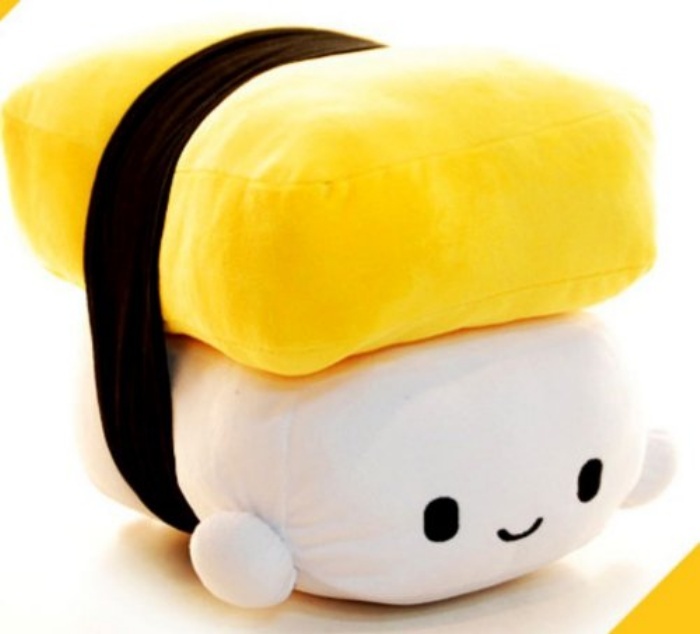 Plop your chin down on the plush sushi while you take a break from sifting through all that paperwork on your desk. Lean back while you lie on your sofa and read a magazine or watch your favorite flicks to unwind from a long and stressful day. The pillows will add a bit of fun and quirkiness to any room you decide to put it in, that’s for sure. By Hazel Chua on 10/03/14 • Leave a comment! You probably should avoid this pillow at all costs if you’re on a diet or trying to go vegan. As its name implies, the giant sausage pillow is just that: a larger-than-life pillow that looks like a delicious grilled sausage. Isn’t your mouth watering already? Put one on your couch, on your bed, or on the floor–wherever you might feel like snuggling against it, actually. 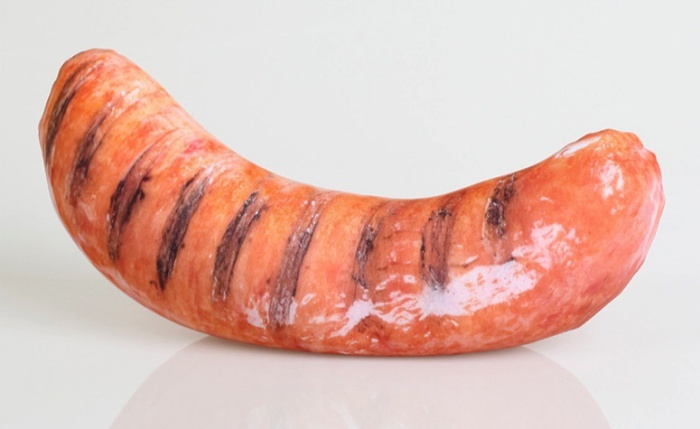 Its makers were able to make the print look so realistic by using a special sublimation technique after shaping the pillow into a giant, bent sausage. By Hazel Chua on 09/08/14 • Leave a comment! This pillow won’t help you sleep at all. In fact, it might even cause you to wake up screaming and sweating in the middle of the night. The throw pillow features a close-up image of Sydney funnel-web spider, which was taken by Alex Wild. The amount of detail he was able to capture is astounding. Even the fangs look like they’re popping out of the pillow. 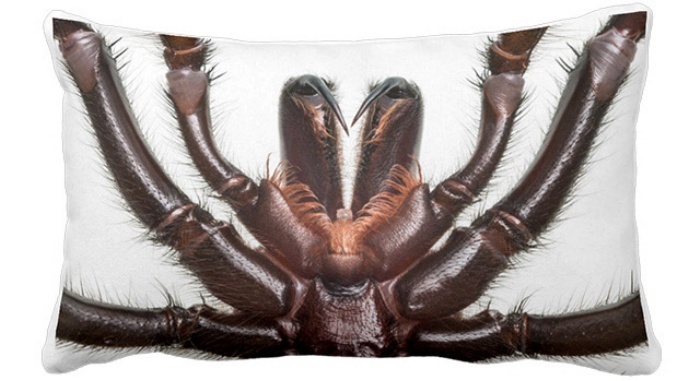 If you feel at home with spiders–or, well, with larger-than-life images of spiders on a throw pillow–then you can get one here. 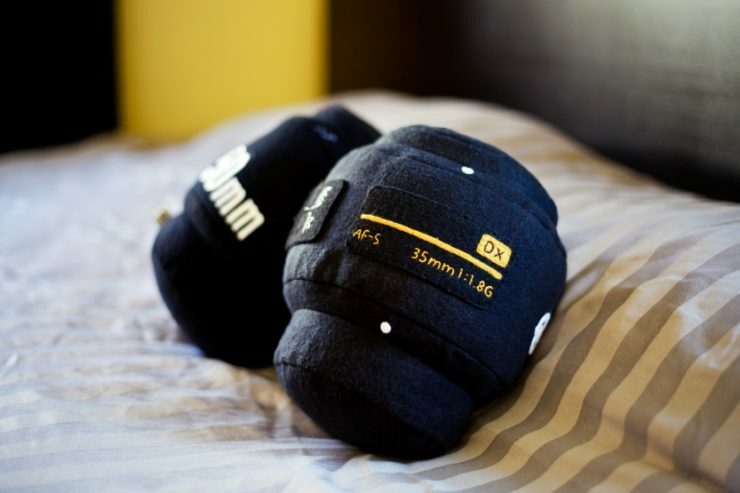 The pillows are available in a variety of sizes, with prices starting at $28.95. By Hazel Chua on 07/01/14 • Leave a comment! So this is a pillow spoon rest. There’s not much to say, because the name says it all. 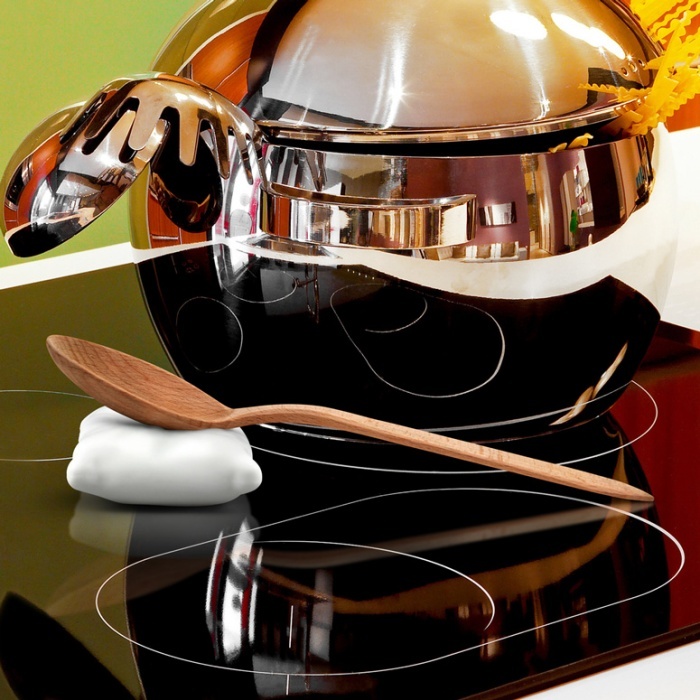 It’s basically a miniature pillow made from silicone where you’re supposed to rest your mixing spoon on while you’re busy cooking up a storm in the kitchen. You could use a plate, but then, where’s the fun in that? You could also choose to go without it and rest your sauce-laden spoon against the pan or bowl, but things can get messy pretty quick if you don’t clean off the spoon as much as possible before doing so. 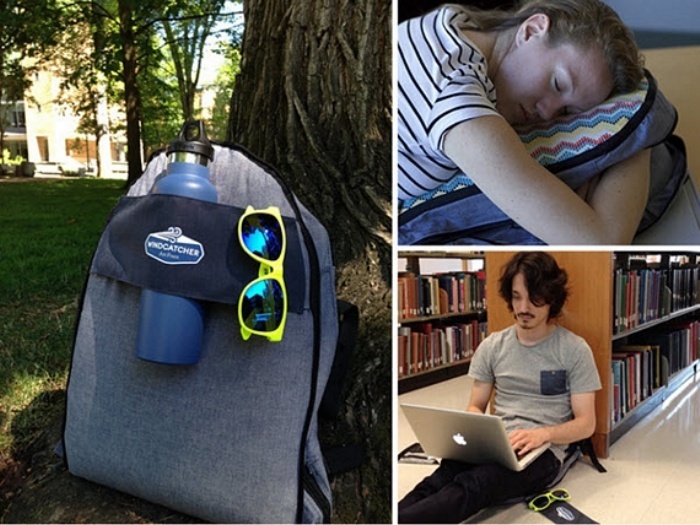 The Pillow Spoon Rest retails for $7.99 and will be available later this September. By Hazel Chua on 05/29/14 • Leave a comment! Tired of coming home from trips with a stiff neck and sore muscles all over? Maybe all you need is the right pillow, and the Flip! might just be the pillow that changes everything. It boasts of an adjustable configuration, so you can flip it, rotate it, and use it this way and that to fit your specific needs and preferred sleeping position.